These are some things that always happen in Marvel movies. Iron Man Appears in Almost All Marvel Movies. Robert Downey Jr. has a pretty strong contract with Marvel. That's why he not only appears in the Iron Man movies; Also in Captain America, Spiderman, etc. The Good Guys Fight Each Other. 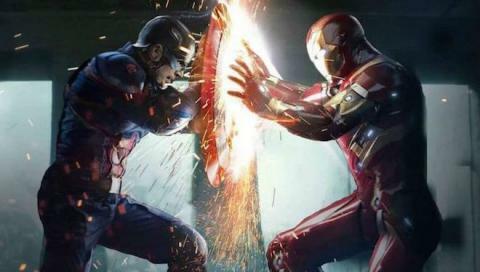 Civil War is not the only example of our favorite superheroes fighting among themselves. Hulk, Scarlett Witch and Antman have revealed themselves against their own companions. 4. The Father Figures of The Superheroes Always End Badly. Ho Yinsen, the mentor of Iron Man, the father of T'challa and Yondu of Guardians of the Galaxy. They are all paternal characters who loved each other and ended tragically. There Is Always an "anti-Hero" Who Does Good Things. Loki is a villain, but despite everything he cares about Thor's welfare. Killmonger is against Black Panther, but deep down we know he is fighting for something right. At Some Point Some Character Will Lose an Arm. This is a tribute to Star Wars by Kevin Feige, who has declared himself a fan of the Georg Lucas Saga. Groot, Thor, Ulysses Klaue are just some of the many characters that have lost an arm in the Marvel movies.